If you want to show a beaker or any other container to be filled or empty then you can use Percentage fill property. 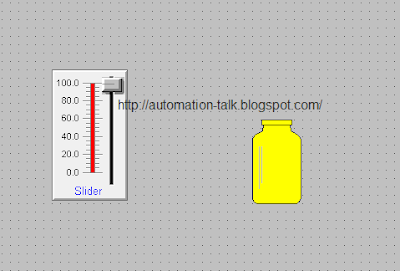 1.Take a slider and make a tag for slider . 2.Now take a beaker/container/bottle or any thing you want to show filling from Wizard or create yourself,I have taken a bottle from Wizard symbol factory. 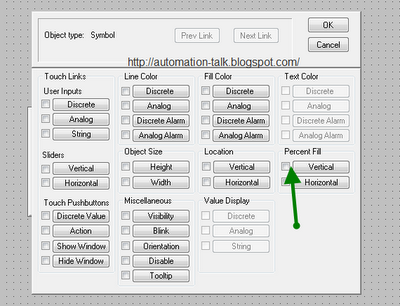 and choose option if you want to fill vertically or horizontally. 5. 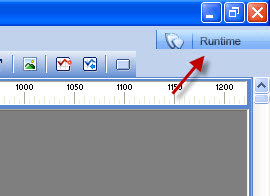 Now go to Runtime and move your slider. You can also put the limit to how much you want to fill the bottle. ya surely what feature you want to see. Everything is possible in Automation dear!!! All u need is open up doors of urs mind!!!!!! !